Professional Engineering Continuing Education…Made Easy! Made Fast! Thanks, the Courses are fantastic and I’ll continue to use this great site! Most of all, thanks for offering a cost effective solution to those new continuing education requirement (as if performing engineering work day-in day-out is not adequate continuing education) Your efforts are really really appreciated!!! Without you guys I was actually considering letting my license lapse, but then I would have had to drop the word “engineering” from my business name. I guess everyone wants control of everything nowadays. Anyway your company has earned my gratitude! Thank you very much for your services and customer support promptness! I will continue to support you as your material is quality, the site is easy to use, and obviously you have great customer support. I hope that your new company continues to flourish with offering these quality courses at such a very reasonable cost. Ready to Finish Your Hours…. When it comes to online PDH for Engineers, you have plenty of options. From college courses to patents to board membership meetings, all these activities qualify. However, for most professional engineers, many of these options barely fulfill their required thirty (30) hours required for license renewal. So that’s where online continuing education comes in. But when you go search the web and see what’s available, it’s over-priced what some of these online continuing education companies charge. As much as fifty dollars per hour is just simply too much to pay for continuing education. 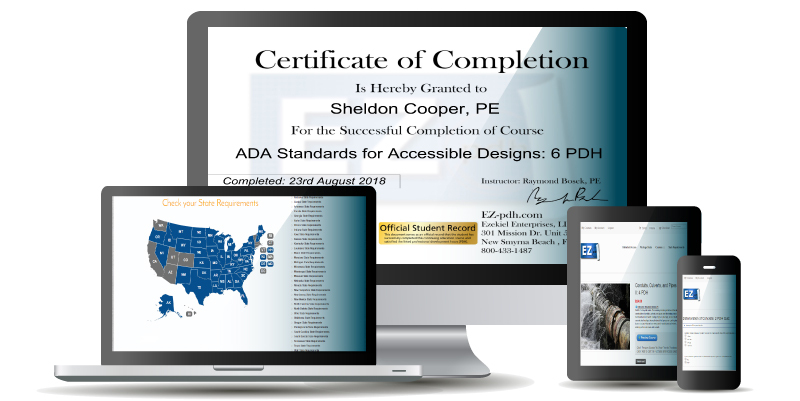 Here at EZpdh.com, our motto is simple, offer the most inexpensive, efficient, and approved courses to professional engineers. After all, the course writers and instructors here at EZpdh.com are all Licensed Professional Engineers. And what we say we mean, Built by Engineers for Engineers! We believe that online continuing education can be and should be affordable, and we achieve it. It’s rather quite simple really. We develop our own courses and we charge less than our competitors. We offer a variety of courses from the basic background of all engineering fields, Civil, Mechanical, Electrical, Structural, Environmental, Computer, and Chemical Engineering. We offer great general civil engineering courses, from pavement design to conduit and culvert design. For mechanical we offer the basic from thermodynamics to fundamental of metals. For Electrical, we start at basic DC theory to advanced A/C generation. Our courses are chosen and developed by the corresponding functional background by our professional engineer instructor. He chooses the course material, the quiz questions, and the overall length or number of hours the course when completed should fulfill. We then audit the course and verify not only technical and grammatical error but also the hours required to complete the reading and taking of the quiz result in the noted hours. Once the course has been verified we then post it on our webserver and perform functional testing with a known test group, and ensure overall compliance. We fix what errors need corrected, and post our course for access. 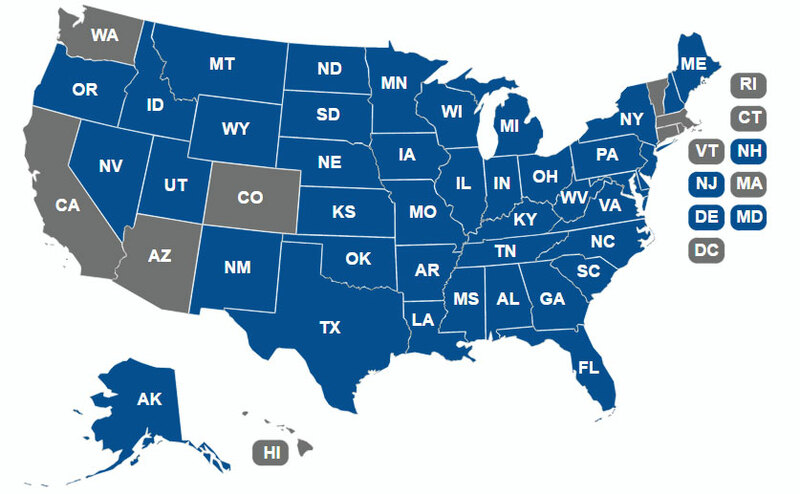 Our PDH/CEU/CEP/CPD courses are accepted for professional engineer continuing education for PE license renewal in the following states: Alabama (AL), Alaska (AK), Arkansas (AR), Delaware (DE), Florida (FL), Georgia (GA), Idaho (ID), Illinois (IL), Indiana (IN), Iowa (IA), Kansas (KS), Kentucky (KY), Louisiana (LA), Maine (ME), Maryland (MD), Michigan (MI), Minnesota (MN), Mississippi (MS), Missouri (MI), Montana (MT), Nebraska (NE), Nevada (NV), New Hampshire (NH), New Jersey (NJ), New Mexico (NM), New York (NY), North Carolina (NC), North Dakota (ND), Ohio (OH), Oklahoma (OK), Oregon (OR), Pennsylvania (PA), South Carolina (SC), South Dakota (SD), Tennessee (TN), Texas (TX), Utah (UT), Vermont (VT), Virginia (VA), West Virginia (WV), Wisconsin (WI), and Wyoming (WY). We also offer Contractor Courses, please visit https://ez-ce.com.